Oslo Stock Exchange-listed energy company, Scatec Solar, has commissioned a 65-megawatt photovoltaic power plant within the Benban complex in eastern Egypt. According to local media, the Norwegian company is preparing to build five additional power plants, with a total capacity of 400 MW, as part of this solar megaproject in the North African nation. The Benban Solar Park is a photovoltaic power station under construction with a planned total capacity of 1650 which corresponds to an annual production of approximately 3.8 TWh. The infrastructure is located in Benban, in the western desert, approximately 650 km south of Cairo. Once completed, Benban will be the largest solar installation in the world. The new plant commissioned by Scatec Solar, a private electricity producer (IPP), was developed in partnership with Africa 50 and KLP Norfund. Scatec Solar will produce a total of 400 MW of energy from six solar parks built in the region. 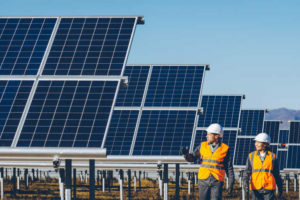 According to Raymond Carlsen, Scatec Solar’s Managing Director, the connection to the grid of the first solar power plant is an important milestone. 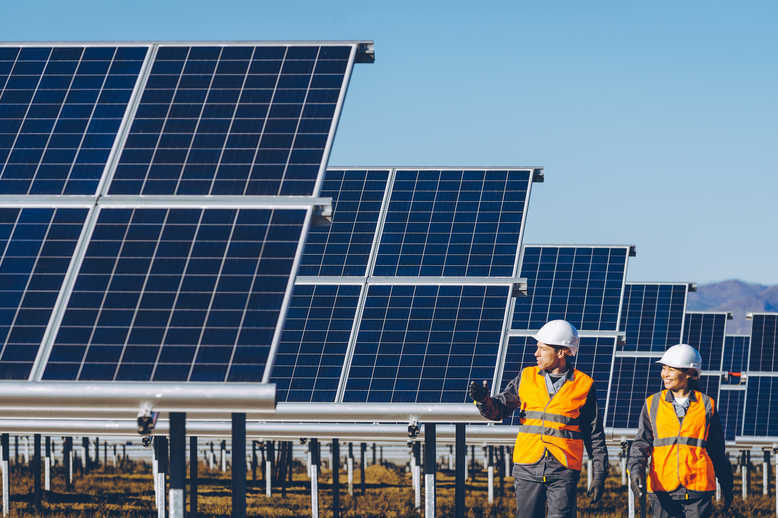 It is the company’s first power plant equipped with two-facial solar panels, which capture the sun’s rays on both sides of the panels to increase total clean energy production. The remaining five solar parks in Benban will be delivered in the second half of 2019, according to the company’s forecasts. The electricity produced in these six solar power plants will be sold to Egyptian Electricity Transmission Company (EETC), under a 25-year power purchase agreement. Scatec Solar’s projects in Benban will provide electricity to 420,000 Egyptian households and will avoid 350,000 tons of CO2 emissions. Posted by Emmanuel Agbenonwossi on April 15, 2019. Filed under Business, News, Zoom. You can follow any responses to this entry through the RSS 2.0. Both comments and pings are currently closed.